I love getting comments here on my blog and often reply to individual questions or suggestion via email. However, I thought this year I would address and share some of the comments and my replies here at the end of the month. 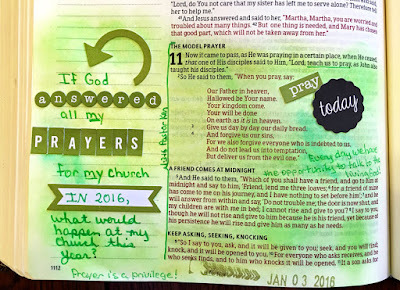 In my Hello 2016 post, I shared my focus goals for this year. Barbara said...I like the idea of goals rather than resolutions. Yours sound doable and you seem to be starting off on the right track. I want to go through my whole house and do a major clean-out. One thing I've learned through the years and in my organizing business---the more space you have, the more stuff you keep!! I'm going to try to be ruthless---if I haven't used it in 5 years---it goes!!! Clothing is a different matter. If I haven't worn it in a year, it's gone!! Wish me luck. I how a daunting task ahead of me!! Good luck Barbara! I like your criteria for deciding what stays and what goes. Ann said...Happy 2016. Great post. I actually chose the word Quiet this year as my word, not actually taking Ali's class but focusing on the areas in my life that needs some quiet. These areas are similar to your topics. I think my main focus is to just live and not worry so much what others are doing. I get caught up in HOW I should do things, instead of just doing it. My plan is to have no plan and HAVE FUN. Thanks for sharing. Love reading your blog and happy you are safe from all the crazy weather in Texas. I really like Ann's idea of just living and not worrying so much about how to do it, just get it done! That crazy Texas weather that she mentioned happened right after Christmas while we were still on our vacation in Tennessee. There were tornadoes in the Dallas area and quite a few homes were destroyed in one town east of Dallas. We learned that the tornado sirens went off several times in our town, however no tornadoes touched down here. 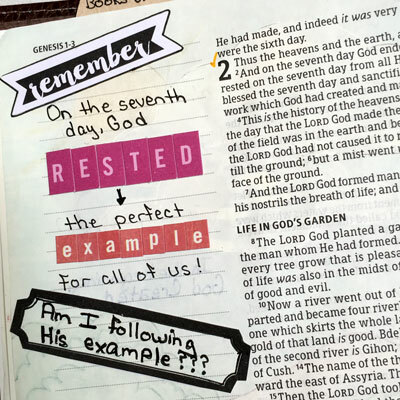 In response to my Sunday Musings - God Rested post, Ellyn said...Have you read Priscilla Shirer's Bible study, Breathe? About creating Sabbath.... I think you'd like it and it fits with what you shared here! I have not read that Bible study but have added it to my list of things to study/read this year! After reading about my Breakfast Flatbread Pizza, Sue said...Looks delicious! I've been experimenting with overnight oatmeal in the Crock Pot. Smells great when you first wake up! Oh, waking up to the smell of oatmeal cooking is intriguing - I just might be trying this soon! I am excited that Cheri, Alexa, Juliann, Alison, Karen and Cheryl are joining me in the FIT 2016 class and that Rinda, Jane, Sian, Susanne, Sandra, Beverly, and Missus Wookie will be cheering us on! It's so FUN to have a group of friends along for the journey and a whole cheering squad, too! Missus Wookie left a this comment on my First Book Completion & 2016 Reading Challenges post...I've read some steampunk - there is quite a bit of YA literature out there too if you'd like some suggestions. Of course, I replied "YES" and now I have a nice list of books to choose from for the Clogs, Cogs and Mechanisms Reading Challenge. After reading about my new recipe successes, Sian said ... I'm intrigued by the dish you name as "Hoppin John": I wonder what the story behind that is? I looked up the etymology of the name "Hoppin' John"and discovered that the origin of the name is uncertain, however it is most likely an adaptation of the Haitian Creole term for black-eyed peas (pois pigeons). Other (more questionable) explanations might be the story that there was an old, hobbled man called Hoppin’ John who became known for selling peas and rice on the streets of Charleston, South Carolina, or the fact (or rumor) that slave children hopped around the table in eager anticipation of the dish. I truly appreciate each of you who caught the most important snippet in my Memorandum Monday - Tidbits of Genius post! Karen said...I hope your mother is doing better. Sandra said...Hope your mum is doing better and sending good vibes her way (and yours X). Sian said...I'll be thinking about you and your mum this week. Alison said...Sending good wishes for your mom. Jane said...sending good wishes to your mum. Alexa said...I am sorry to read the news about your Mum, Melissa, and hope there will be good support for you all. Susanne said...Said a little prayer for your Mom. 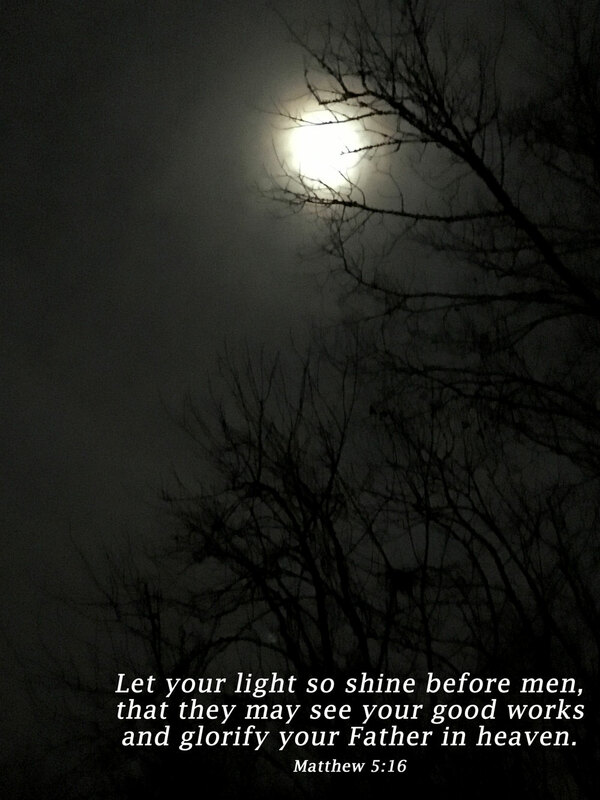 MissusWookie said...Sorry to hear about your Mom - holding her in the light. Mama is doing much better now that her blood pressure is under control and the build up of fluid has been released. She has been diagnosed with congestive heart failure, which is incurable but can be managed with diligent monitoring. 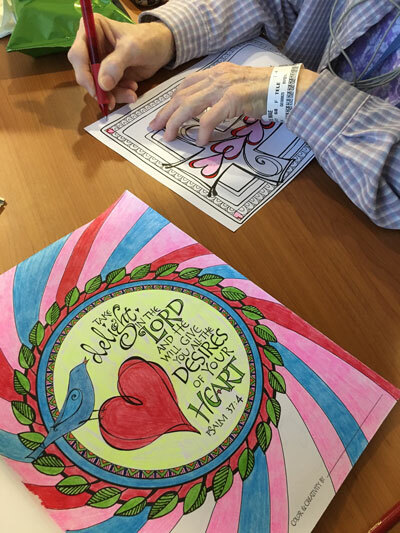 The day I spent at the hospital with her, I brought along a coloring book and snapped this photo. I used one of the Starting Points I created a few weeks ago to showcase this photo and the story about Mama's diagnosis. After the initial disappointment of the diagnosis, Mama is adjusting well to the medications and learning to monitor the symptoms that resulted in her having to be admitted to the hospital. 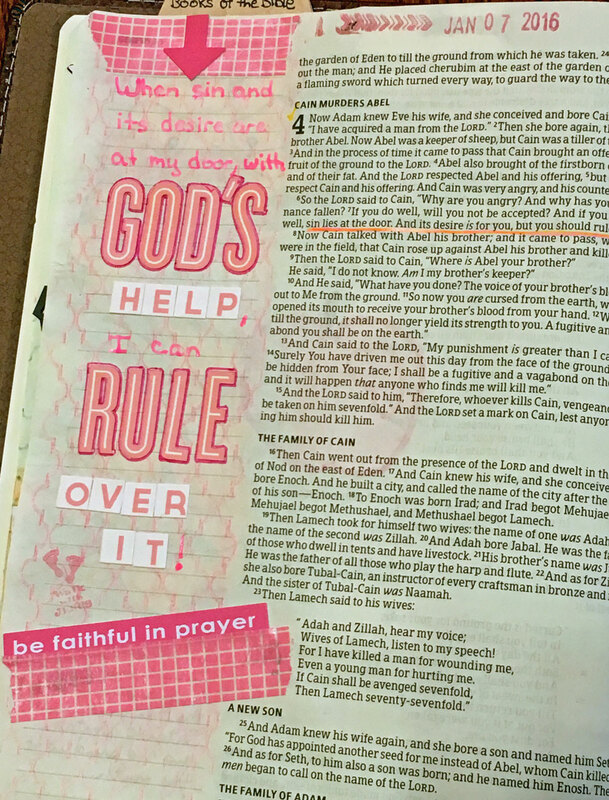 In fact, she felt well enough that she joined me at the Demos & Devotionals Bible Journaling "crop" I hosted at Personal Scrapbook yesterday! (Daddy even bought her a new Bible so she can try out some illustrated journaling!) Thank you so much for the prayers and good wishes! On that same post, Alexa said...I was a little horrified that you had to be fingerprinted, just to be able to continue working. I think there'd be a huge protests here. Yes, there is apparently a new law here that requires all educators to be fingerprinted in order to maintain our teaching certifications. When I considered that teaching job back in the fall, it must have triggered something in the system and I received notice that my certification would be inactive until I complied with the new law. I'm all up-to-date now and my credentials have been reactivated. 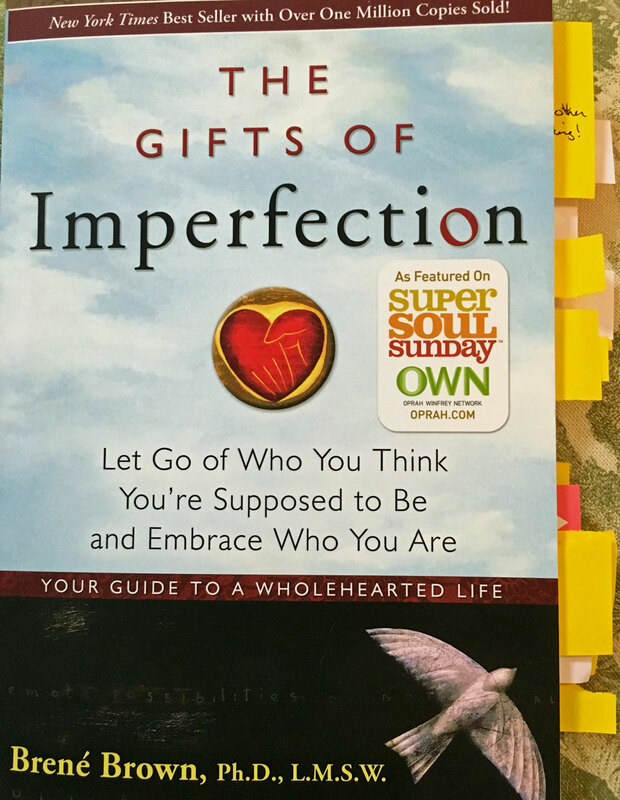 My review of The Gifts of Imperfection lead Missus Wookie to ask...Will you review next month's book as well? Yes, my plan is to try to read and join in all the discussions for the Simple Scrapper Book Club. I'll also be sharing lots of other books reviews throughout the year, too, of course! Thanks for all your wonderful comments and questions! 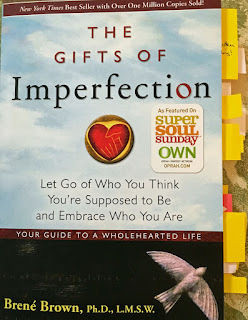 Some of you may recall that I first read Brene Brown's The Gifts of Imperfection several years ago and shared a short review here on my blog. This month I re-read it because it was the January selection for the new Simple Scrapper Book Club. I thoroughly enjoyed reading this book again and marked quite a few passages that I wanted to review and/or thought would be relevant to the book club discussion. 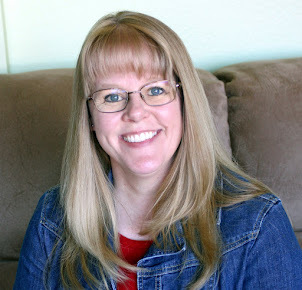 As usual, Jennifer Wilson led a very organized discussion about the book in the Simple Scrapper chat room. The book club is designed "to share ideas at the intersection of intentional living and scrapbooking." Jennifer shared a quote from the book, followed by a question relating it to memory keeping, then a discussion followed. 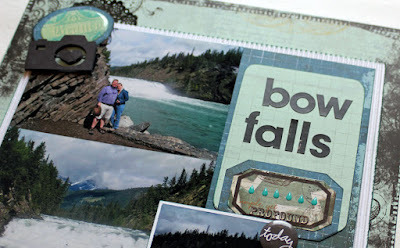 I really liked this format as we went through the six items, although I have to admit that I think we sometimes get a little too serious about the whole scrapbooking/memory keeping hobby. 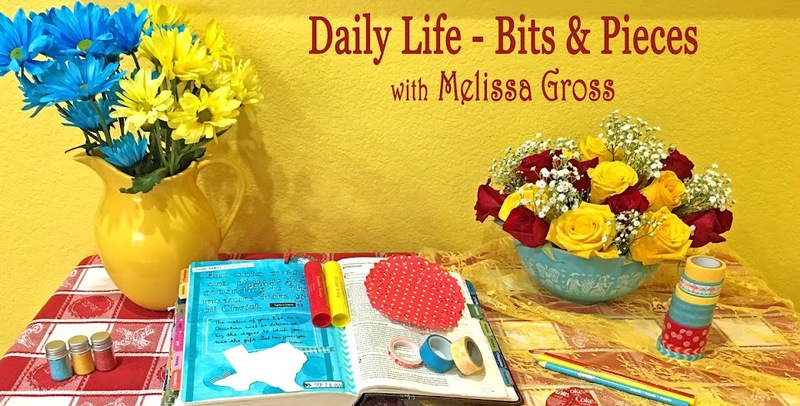 My favorite question from the discussion was: "Is scrapbooking a gratitude practice for you?" While I've never thought about it like that, I do believe that scrapbooking is one way that I can express my gratitude for the events and stories and people in my life as I relive the memories I preserve on my layouts. My first thought on relating this book to memory keeping was that the subtitle could be changed to: "Let your scrapbook pages reflect who you are, not who you think you're supposed to be!" The author mentions several times about how we need to "own our story" - this is a theme that keeps coming up for me lately as I'm currently slowly re-reading and contemplating the Own Your Life book by Sally Clarkson that I read (and reviewed HERE) last year. Brene Brown shares that "owning our stories and loving ourselves through the process is the bravest thing we will ever do." The book is based on research into how to live a Wholehearted Life, which requires us to understand ourselves and love ourselves and believe that we are worthy of love and belonging. This includes having the courage to let go of what others think, being authentic, and allowing ourselves to be vulnerable. She also says that a "critically important component of wholehearted living is play!" People who live a Wholehearted Life DIG deep, which means that they are (D) deliberate, (I) inspired, and (G) going or taking action. The Wholehearted Life requires courage (letting go of what others think), compassion (which includes setting boundaries and saying no), and connection (after first cultivating self acceptance). Both joy and gratitude were described as spiritual practices that were bound to a belief in human interconnectedness and a power greater than us. Comparison is all about conformity and competition. If we want to make meaning, we need to make art. Cook, write, draw, doodle, paint, scrapbook, take pictures, collage, knit, rebuild an engine, sculpt, dance, decorate, act, sing - it doesn't matter. As long as we're creating, we're cultivating meaning. within us, not above us. Sharing our gifts and talents with the world is the most powerful source of connection with God. Have you read this book? Please share your thoughts in the comments! 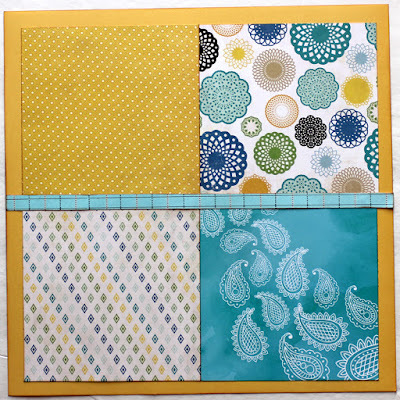 After completing several layouts at my friend Amy's crop earlier this month, I decided to use some of the miscellaneous supplies I had with me to create starting points. Do you remember Shimelle's starting points? The idea is to create the background (or starting point) of a layout before choosing the story or photos for the completed layout. I used the first three ideas (here, here and here) that came up when I searched Shimelle's blog for starting points. I'm hoping to find time this week to turn these starting points into completed layouts! Joining in today with Helena's meme - Snap - a visually linked set of between 2 and 4 images. The set can be based on colour or shape or subject. Have you heard that Glitter Girl is back? 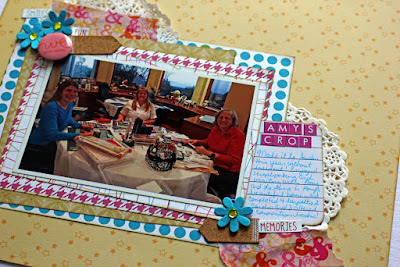 Each Wednesday she's sharing a new scrapbooking adventure on Shimelle's YouTube channel. This past weekend, for the first time this year, I found time to watch a couple of the videos and used the INSPIRATION to create two layouts. 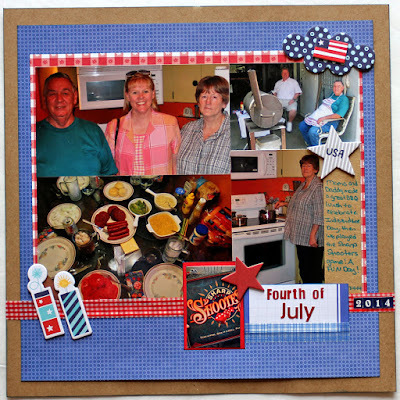 Glitter Girl Adventure 123 encouraged scrapbookers to choose a favorite layout to scraplift when trying to get back into this fun hobby after a break. I chose to scraplift Glitter Girl's layout, although I reversed the design since this will be the first page in our 2016 album. I'm determined to use my stash of scrapbook supplies this year and only purchase items for which I have a specific plan. 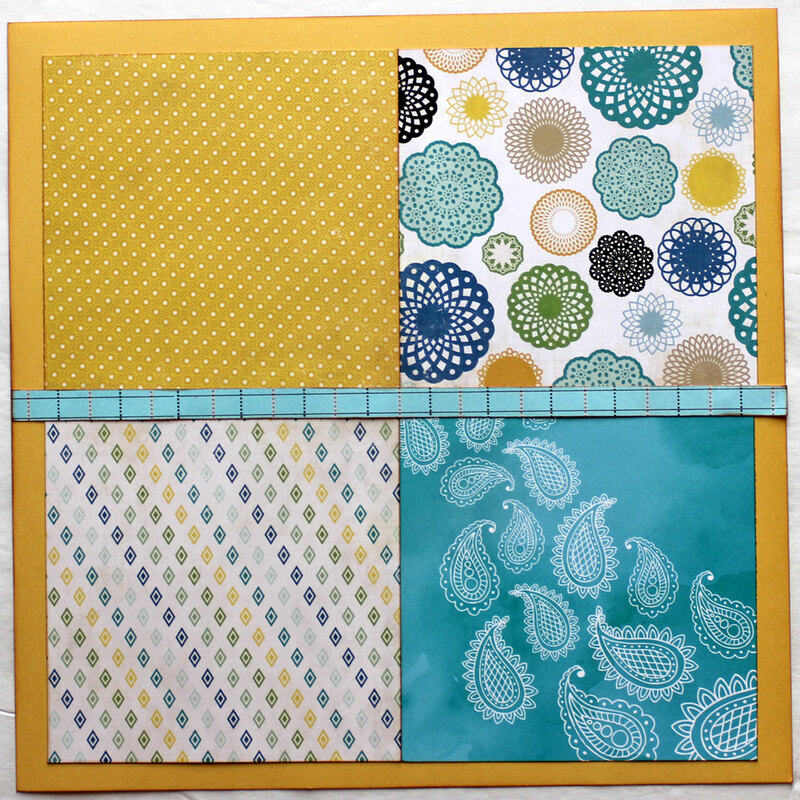 For this layout, I used one full 12x12 sheet, then lots of paper scraps from my stash. I added a Project Life card for journaling, two different letter stickers for a title, and some washi tape and bling embellishments as finishing touches. 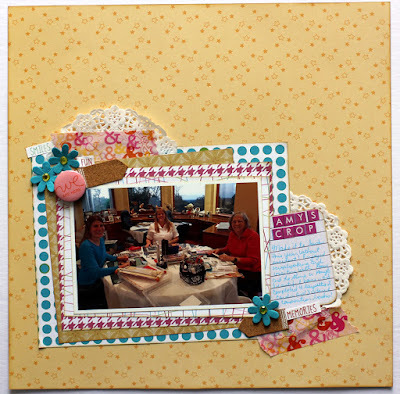 I used the basic layout design from Glitter Girl Adventure 124 as the starting point for my next layout, using the idea of stacked papers under a single photo. 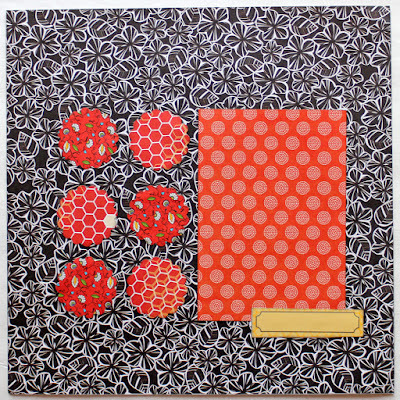 Then I created two embellishment clusters with more bits and pieces from my stash. Have you watched any of the new Glitter Girl Adventures? Joining in today with Sian's Memorandum Monday meme sharing something NEW (Something you did over the weekend FOR THE FIRST TIME or something you learned and DIDN'T KNOW BEFORE). At the beginning of the year, our pastor posed a thought-provoking question during the Sunday morning sermon. The church we currently attend is in a stage of revitalization. The new pastor is making changes and praying for direction and encouraging the congregation to join him as he follows the Lord's guidance. I've been pondering his question and spending some time in prayer for the church over the past few weeks. 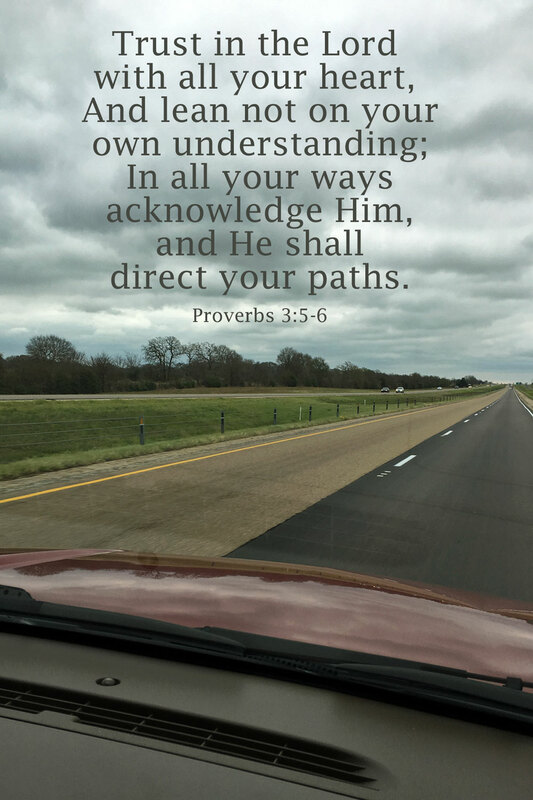 In times of change like this, I think it's important to pray and wait and listen for direction from the Lord. 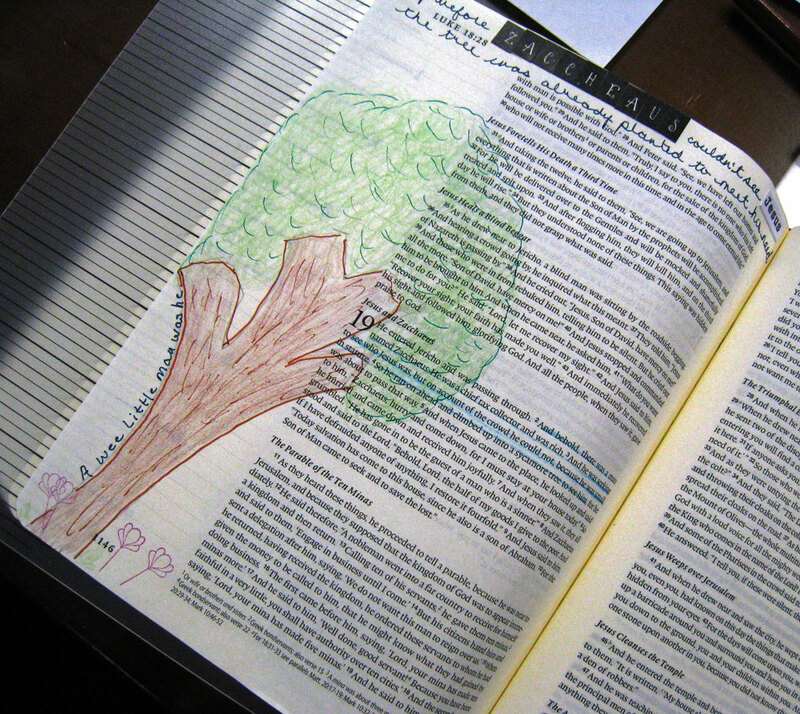 Joining in with Cheryl's Scripture and a Snapshot. If God answered all your prayers for your church in 2016, what would happen at your church this year? 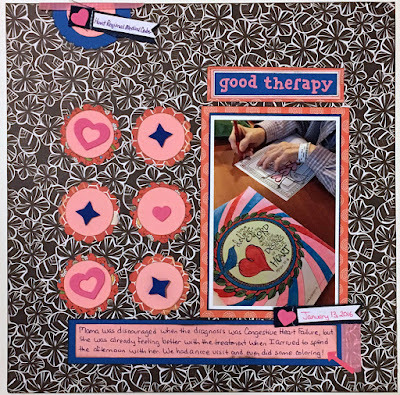 Last week I spent two days in Austin at my friend Amy's Annual Craft Retreat, and I completed my first scrapbook layouts of the year - 2 double-page and 2 single-page layouts! 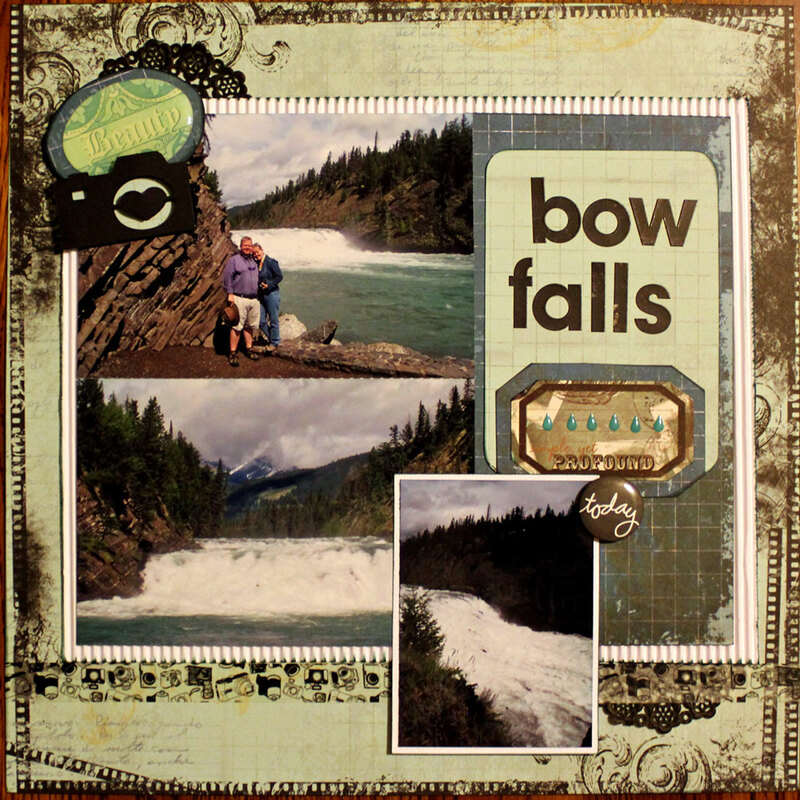 I am very pleased with each of these layouts, but my favorite is the Bow Falls layout because I used papers that I probably never would have chosen if I hadn't been limited by the few things I quickly threw together when I was packing to head to Austin. 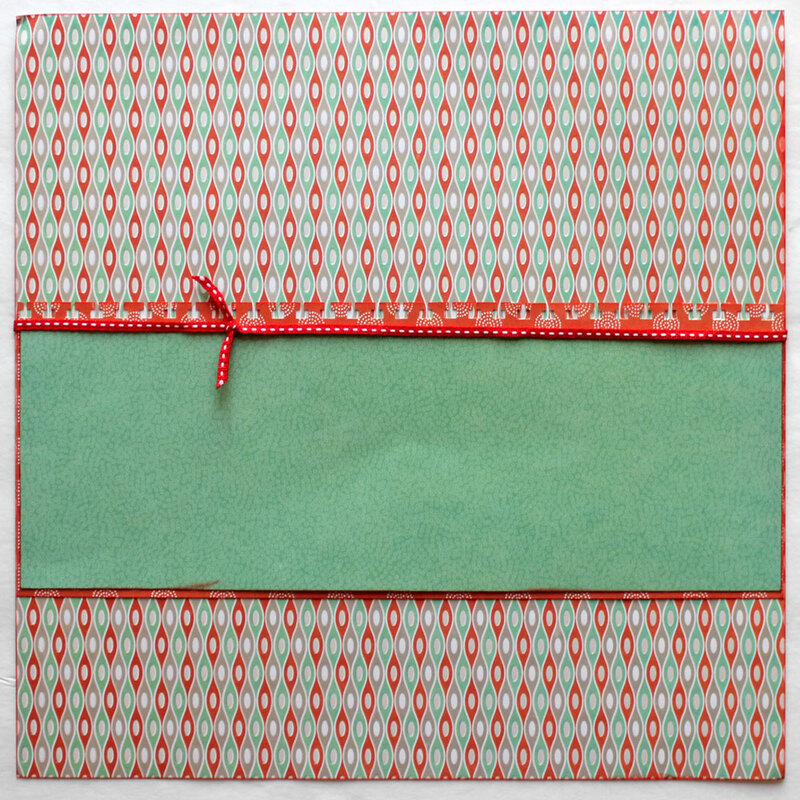 These papers work really well with the green waters of the Bow River (although the photo doesn't do it justice!). Here's a closer look that (somewhat) better illustrates the colors. The other single page is a collection of photos from July of 2014. 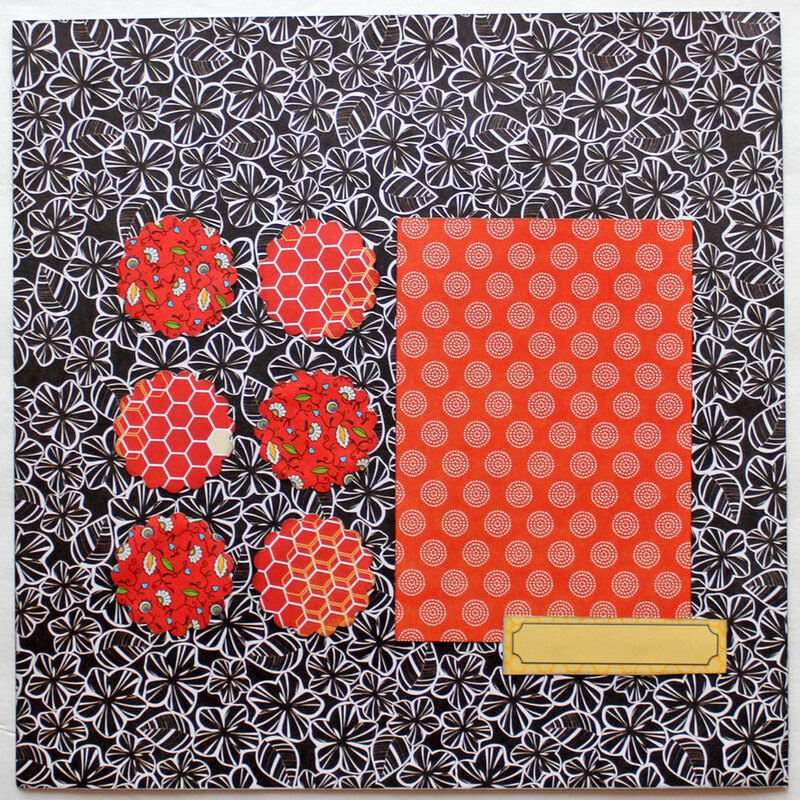 The chipboard embellishments came in a pack of goodies that Amy gave me as a gift when I arrived at the crop! 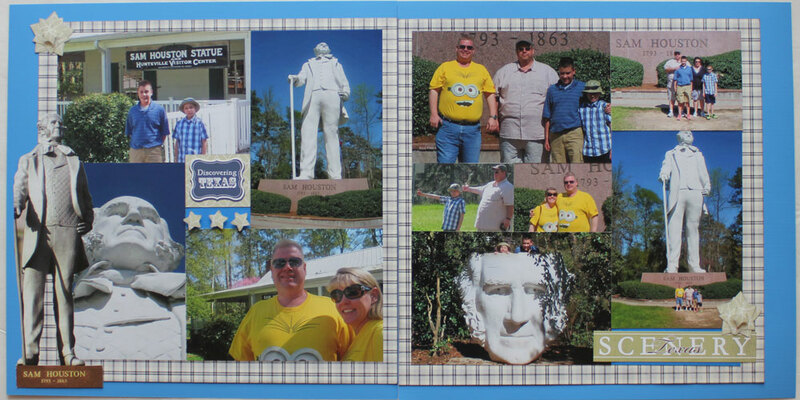 The two double-page layouts showcase photos from our Texas Spring Break vacation last year. 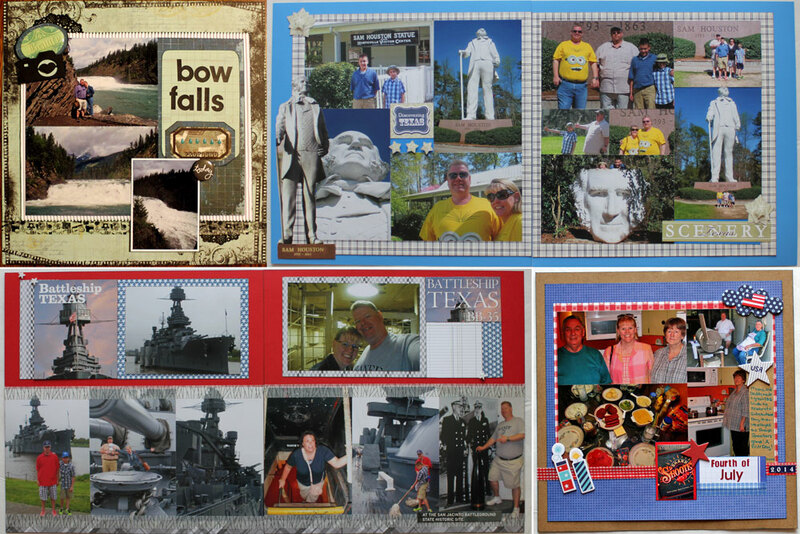 For both of these layouts, I cut pieces from the memorabilia/brochures I had saved from the trip. 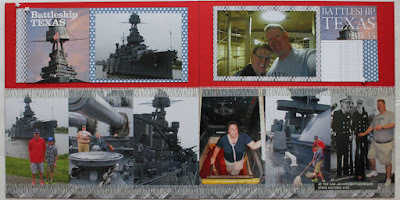 I still need to add journaling to the Battleship Texas layout, but I want to wait until I put together a few more layouts from this trip so I can decide which stories to tell on which layouts. 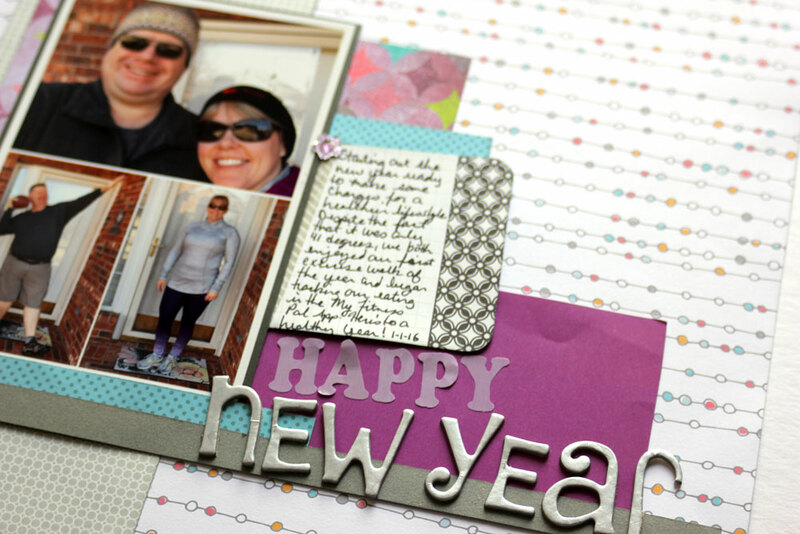 Have you scrapped any layouts yet this year? We had a quiet weekend around here after a rather full week (doctor's appointment for a check-up, fingerprinting to comply with a new law to maintain educator certification, teaching a class at the library, spending a day with Mama at the hospital as she has been diagnosed with congestive heart failure in the early stages, and a two-day trip to Austin to scrapbook with friends). As we relaxed this weekend, I spent some time on one of my favorite hobbies - reading! I'm currently reading several books and finishing up a few magazines that have been in my to-read pile for a while. I learned several new things that I didn't know before from this Time special edition. *The most accepted definition of a "prodigy" is "a child between the ages of 10 & 13 already performing at an adult professional level in a highly demanding and valued field." *The word "prodigy" is derived from the Latin word Prodigium, which means something unnatural or a monster. Until recently, many child prodigies were considered to be possessed rather than blessed with a particular talent. *The Slinky debuted at Gimbel's department store in Philadelphia in 1943 and the original stock of 400 sold out in 90 minutes. *There are people who believe in Singularity (the moment artificial intelligence surpasses human intelligence and ends civilization as we know it) and believe that it's almost here. *Liquid paper was developed in 1951 by a single mom supporting her young son, and she created it at home until she was able to open a factory years later. The product was originally called "Mistake Out," but the name was later changed to "Liquid Paper." 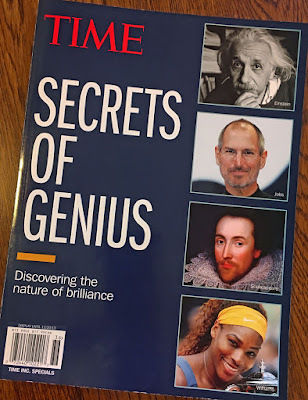 Have you learned any interesting tidbits from magazines lately? 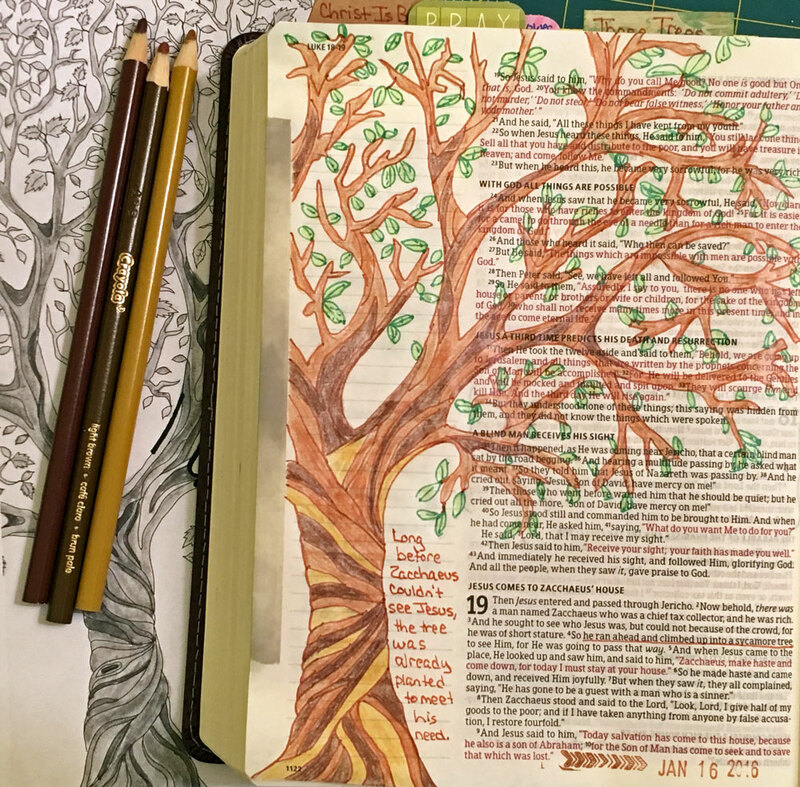 Several months ago, Minetta, a participant in one of my Bible Journaling workshops, shared an idea she had for an illustrated Bible page. I knew I wanted to add this quote to my Bible at some point, so I snapped a photo of her completed page. 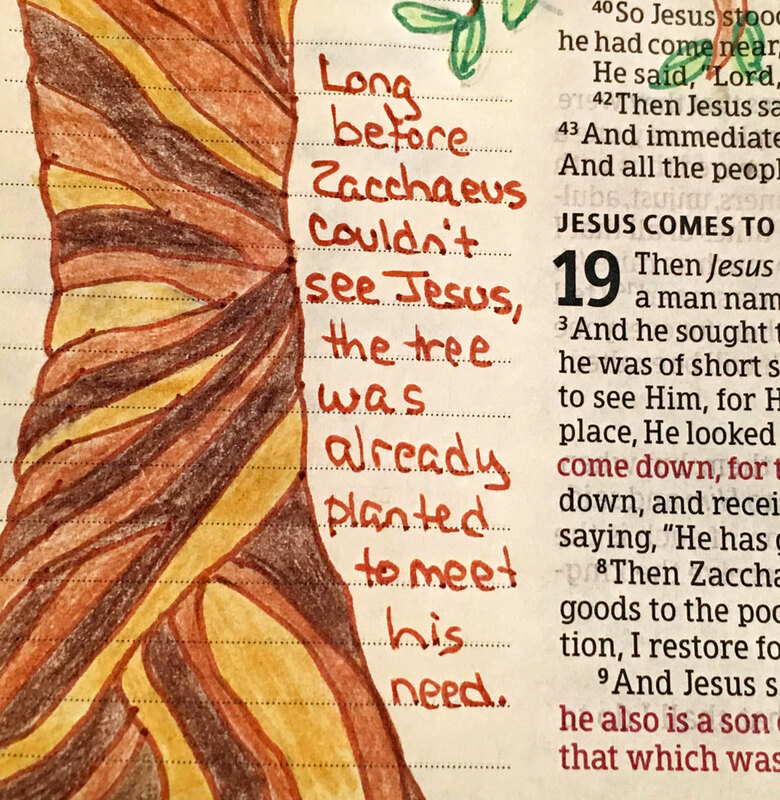 I've pondered this quote and shared it with a few others, but it wasn't until I saw a great tree in my friend Amy's new coloring book that I knew it was time to illustrate this page in my own Bible. I traced and colored the picture next to Luke chapter 19. I love having this reminder that God knows what we will need and has already planted the seeds that will grow to supply those needs. 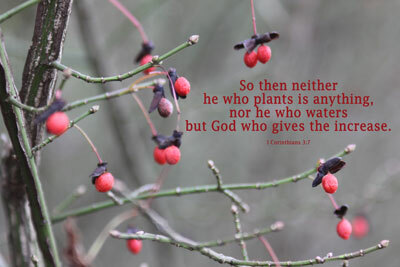 I believe that sometimes God plants the seeds of faith in us so that we can grow in faith and be used to share the good news of salvation to others. He uses each of us in different ways, yet it all works to His glory. Have you ever considered how wonderful it was that the tree Zacchaeus needed was available exactly when and where he needed it? 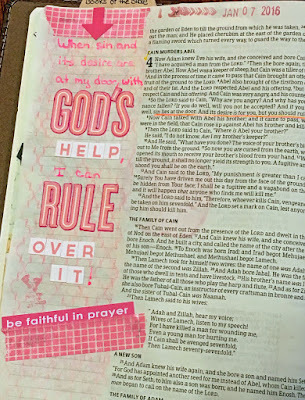 BTW - I've recently begun creating Bible Journaling boards on Pinterest in order to collect INSPIRATION and ideas for illustrations as I'm reading and studying the Word. My goal is to create a board for each book of the Bible. 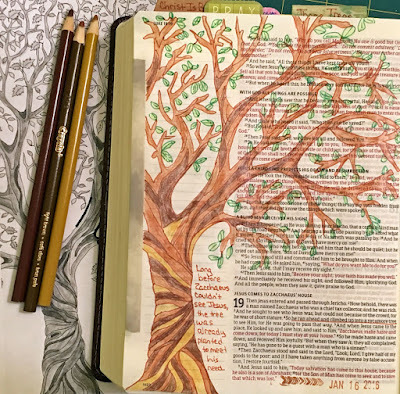 The images I pin link back to blog posts and/or Instagram feeds that share more about the scriptures and illustrations represented in the images.You can find my boards HERE. In my quest to make healthier choices this year, I am trying out some new-to-me recipes that incorporate more vegetables. So far, the three I've tried have been excellent! For our New Year's Day dinner, I created my own version of Hoppin' John using spinach, brussels sprouts, black-eyed peas, and leftover Christmas ham. 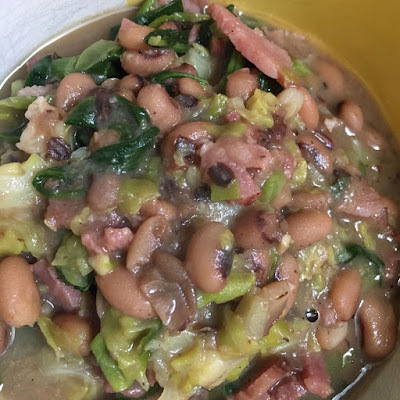 Here in the southern United States, eating black-eyed peas on New Year's is supposed to bring a prosperous and luck-filled year. I don't place much stock in this belief, but I do love the tradition of having them on New Year's Day (as I have for pretty much all my life). Robbie, however, is not a fan of the black-eyed pea, so I was pleasantly surprised when he declared this an excellent recipe that he enjoyed! 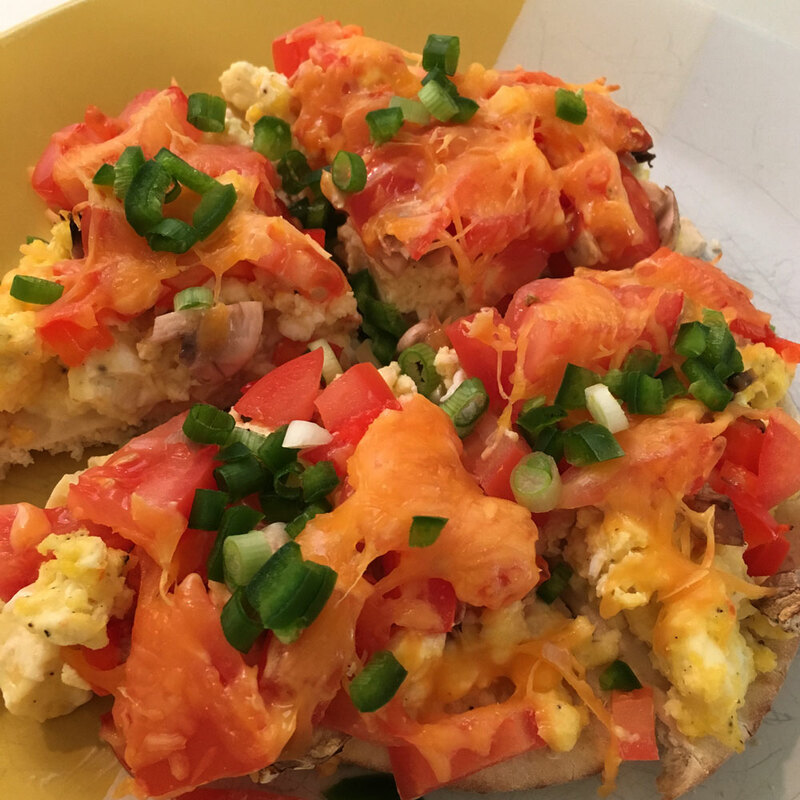 As I mentioned in a previous post, I made this Breakfast Flatbread Pizza, inspired by this recipe from the My Fitness Pal blog, tweaking it a bit to fit our tastes and the ingredients we had on hand. 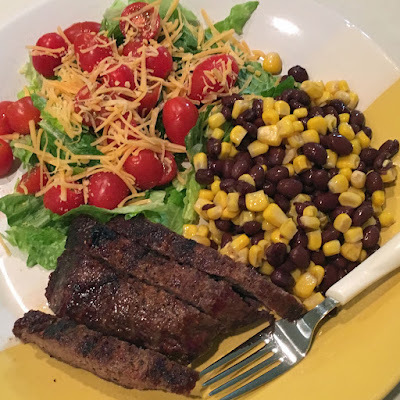 The best things about these recipes are that they are nutritionally well-balanced and are perfect to help me add more vegetables into our meals! I've completed my first book for 2016, and it is a well written book that I definitely recommend! The Aviator's Wife by Melanie Benjamin is a fictionalized account of the life of Anne Morrow Lindbergh. I have to admit that I didn't know anything about her and the only thing I really remembered about Charles Lindbergh was that he had something to do with early flight. Not only did I enjoy this book, I learned quite a bit of history. I think the sign of a good historical fiction novel is that it makes me want to research and learn more to know which parts of the story were factual. *Charles Lindbergh was the first person to fly nonstop from New York to Paris. *Anne Morrow was the daughter of a politician who wanted to become a writer, which she eventually did. *Anne was the first woman to earn a first-class glider pilot's license. *Because Charles was famous, the Lindberghs were hounded by reporters and paparazzi. *Charles and Anne's first child was kidnapped (when he was only 20 months old), resulting in a high profile search that took its toll on both Lindberghs. The boy's body was recovered 2 1/2 months after he went missing. *Charles was a Nazi appeaser and spoke out openly against the war until after the US was bombed at Pearl Harbor. *Charles was close friends with the Geggenheims . . . until he voiced his anti-Semitic views. It feels great to have started the year with a good read that also fits right in with my LEARN focus goal! I'm sure I'll learn lots more as I continue to work toward my goals of reading all the Pulitzer Prize Winners in Fiction and re-reading all my children's/young adult books. I'll be reading the books chosen for our local library book club each month as well as for the new Simple Scrapper online Book Club! In addition, I'm joining in a few reading challenges this year. The Lady Detectives 2016 Reading Challenge - This should be FUN and easy as it only requires that one of the main characters be a lady detective. I'm shooting for the highest level by reading 7+ books. 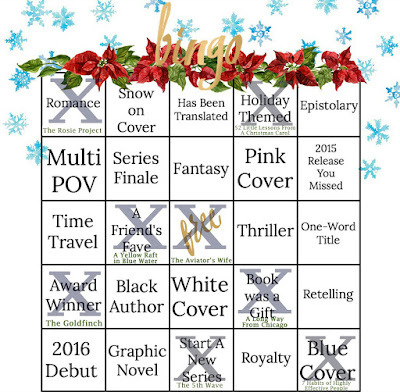 2016 Anne of Green Gables Reading Challenge - A simple challenge to read all eight of the Anne of Green Gables books. I have all of these books in my children's/young adult collection. Clocks, Cogs and Mechanisms Reading Challenge 2016 - This one is probably the most unusual one for me as it requires reading Steampunk books, however books that are precursors to steampunk count (like The Time Machine and Twenty Thousand Leagues Under the Sea). 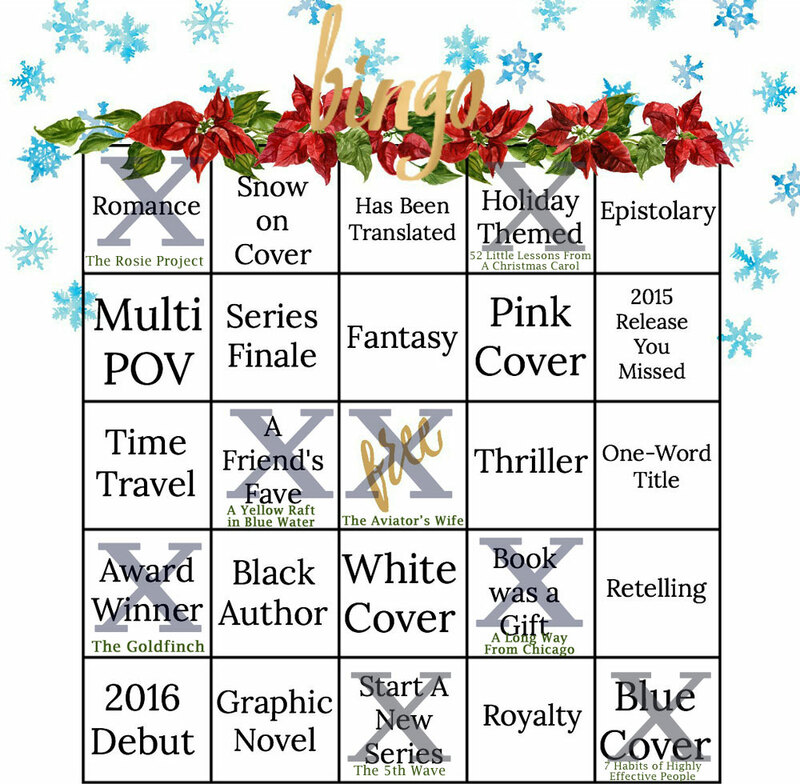 I'm simply trying for level one (Brass Gears) and will most likely read the precursors, although I'm going to challenge myself to read at least one more recent steampunk book. Are you joining in with any reading challenges this year? The winner of my extra copy of A Long Way From Chicago is LeAnne!!! Congrats LeAnne - I'll get the book to you very soon! Robbie and I both thoroughly enjoyed this story of how elderly widow Clara mentors Elizabeth, a wife and mom who finds herself in an argument almost every time she and her husband are together. Clara shows Elizabeth her "War Room" - a closet she uses for prayer. Although Elizabeth is skeptical at first, she eventually creates her own war room. Elizabeth's husband, Tony, is a top pharmaceutical salesman who is flirting with the temptation to cheat on his wife while padding his samples reports, eventually resulting in the loss of his job. While this is a movie with a deep theme (fight in prayer and let God do the rest), there are lots of light, funny moments (some of them relating to the way Elizabeth's feet smell) and a great scene with a jump-rope competition (wow, I don't remember doing all that with my jump rope!). I highly recommend it! This scripture grabbed my attention this week. It seems like I've known the story of Cain and Able all my life. They both bring a sacrifice to God, and He accepts Able's sacrifice but not Cain's. 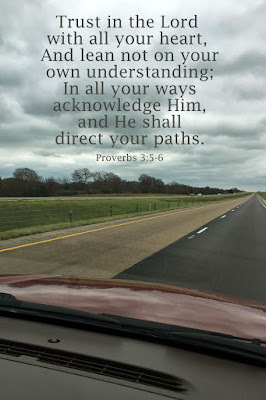 Cain becomes angry, and God questions him in the above verses. Cain does not heed the Lord's warning about sin and kills his brother. He then becomes a vagabond and fugitive "cursed from the earth." Yet, based on the Lord's comments, Cain did not have to give in to sin. He could have ruled over it! This is true for all of us. Sin is all around us, yet with God's help we can rule over it. When God spoke to Cain, he was not yet a murderer (although we read in I John 3:12 that Cain's "works were evil"). Cain gave in to the anger and jealously and resentment he felt when God accepted Able's sacrifice. How easy it is for us, too, to give in to our anger or jealously or resentment or hurt feelings and allow them to lead us into sin or to grow a root of bitterness in our soul. But with God's help, we can rule over sin!! This is the thought I've been pondering this week, seeking help to overcome some hurts in my life. I have to admit that it's not always easy to overcome the temptation to strike out and hurt someone back, and I'm not always successful at ruling over that temptation. But my heart's desire is to lean on the Lord and learn to more and more rule over sin and its desire in my life, so that I can allow the Lord's light to shine through me. The best way I know of to learn to overcome sin is to consistently spend time in prayer, study, and Bible reading. Just spending time with the Lord so that He can help me and guide me each day. BTW - I'm excited to announce that I've scheduled my first Bible Journaling Workshops and Events for 2016. I'll definitely be making progress on my TEACH focus goal over the next couple of months. 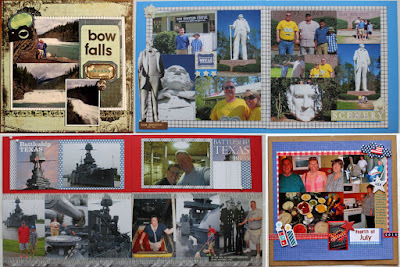 I have six workshops and two "crops" scheduled from January 30 to March 3, some at Personal Scrapbook in Allen, Texas, and others at Scrappin' Goodtime in Corsicana, Texas. I've updated the list on my Upcoming Classes page with links to all the information! I wasn't really sure if I wanted to join in when I first read Cheri's email inviting me to join her for Cathy Zielske's FIT 2016 workshop. Some of you may remember that several years ago I participated in Cathy's Move More, Eat Well workshop at BPC and didn't find it extremely helpful. However, after checking out the course page and reading Cathy's goal "to support and inspire you on your path to better overall health and fitness," I decided to jump in and give it a try. I'm excited that Cheri and Karen and Alexa and Alison are also in the class. Plus, this class is perfect to help me with my focus goals of MOVE and LEARN this year. 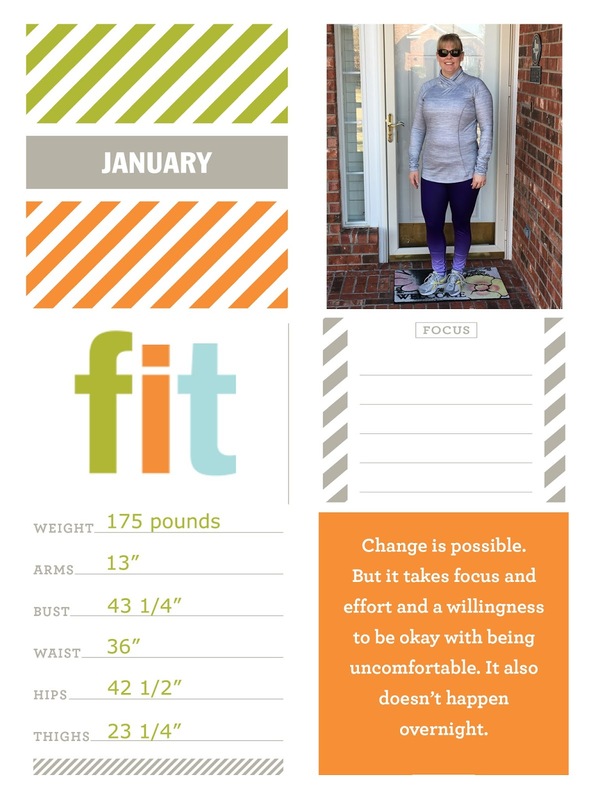 The class has lots of digital and printable materials for creating a mini-album of our FIT journey this year, however I'm simply planning to create one page each month that I'll put into my calendar/planner. 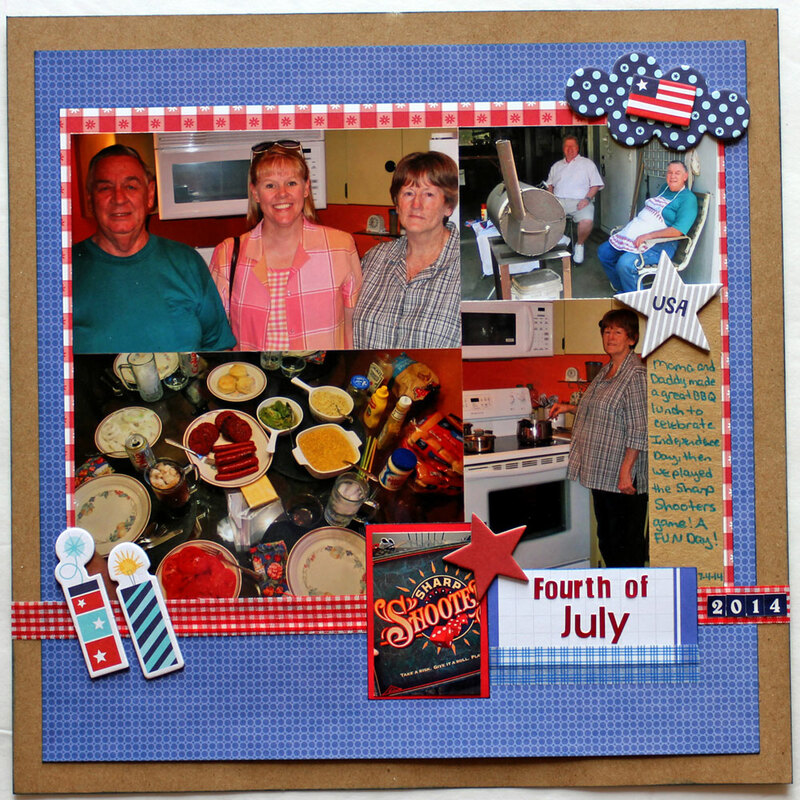 I modified one of Cathy's templates and resized some of the cards to create the front side of my page. (Like Cheri, I wasn't sure about putting the numbers out there, but they are what they are and I'm thinking this will be an additional motivation to stay on track this year.) I included a photo of me heading out for a walk with Robbie on New Year's Day. I'm planning to write in my MOVE focus(es) for the month, which I shared in a previous post. 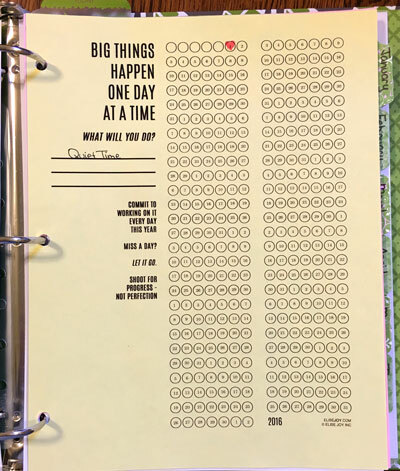 The backside of my page is simply a journaling page where I'm planning to journal my thoughts on Cathy's monthly video and the questions she asks (What do you want? and What is your plan? for this month) and/or other things I want to record about my journey this year. I also have another of those Daily Goal Trackers that I'm using to track the number of minutes I exercise each day. Here's what it looks like so far! I know I can make the necessary changes to lose weight and get healthier this year, and I'm excited to be off to a great start and to have some friends along for the journey. Anyone else joining us in FIT this year? This year I'm hoping to be a weekly participant in Helena's new meme - Snap. Here's how she describes it: My idea for Snap is a visually linked set of between 2 and 4 images. The set can be based on colour or shape or subject. 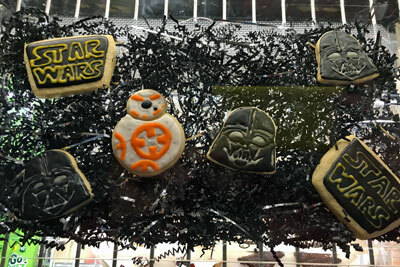 I didn't really have a theme picked out when I set out on my errands today but was able to snap these three photos all linked by the new Star Wars movie. We are Star Wars fans around here. (In fact, we watched all six of the Star Wars movies at the cabin on our recent trip to Tennessee. Only then did we get to the theater to see Episode VII: The Force Awakens.) 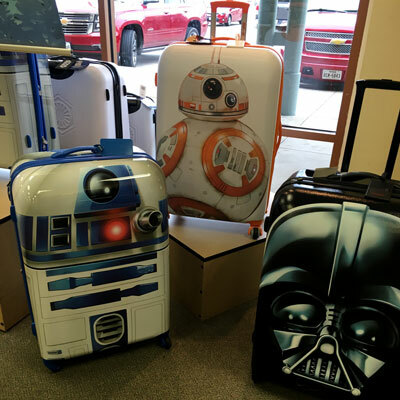 So, of course, these Star Wars luggage pieces caught my eye when I stopped at the Samsonite store today to drop off a piece of luggage that needs some warranty repair. I snapped a photo to share with Robbie and headed off on my next errand. 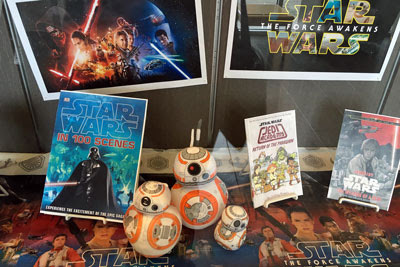 Then, as I was headed into the library for today's book club meeting, I was excited to snap another Star Wars photo of the display case in the lobby! Thanks Helena for the INSPIRATION to be attentive and snap some FUN photos today. Will you be joining in with Snap this year? "NEW = Something you did over the weekend FOR THE FIRST TIME or something you learned and DIDN'T KNOW BEFORE"
Sian's new Memorandum Monday meme goes along perfectly with my focus goal to LEARN this year. What a great way to ensure I'm taking notice of new activities and new learning this year. Robbie and I are off to a healthy start for the new year. We're focusing on tracking our eating, exercising regularly, and making healthier food choices, which includes trying new recipes. 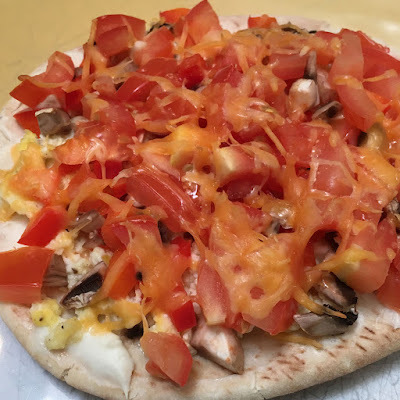 This weekend FOR THE FIRST TIME, I made Breakfast Flatbread Pizza, using this recipe from the My Fitness Pal blog, tweaking it a bit to fit our tastes and the ingredients we had on hand. This is a great way to include vegetables in the first meal of the day; I used mushrooms, red bell pepper and tomatoes. I added a sprinkling of chopped green onions on Robbie's (I'm not a huge fan of onions first thing in the morning! ), which makes it much prettier, don't you think? Have you tried any new healthy breakfast recipes lately? On this first Sunday of the new year, as we're enjoying time at home, relaxing, watching football, and enjoying the sun shining in through the windows, I'm contemplating this thought. 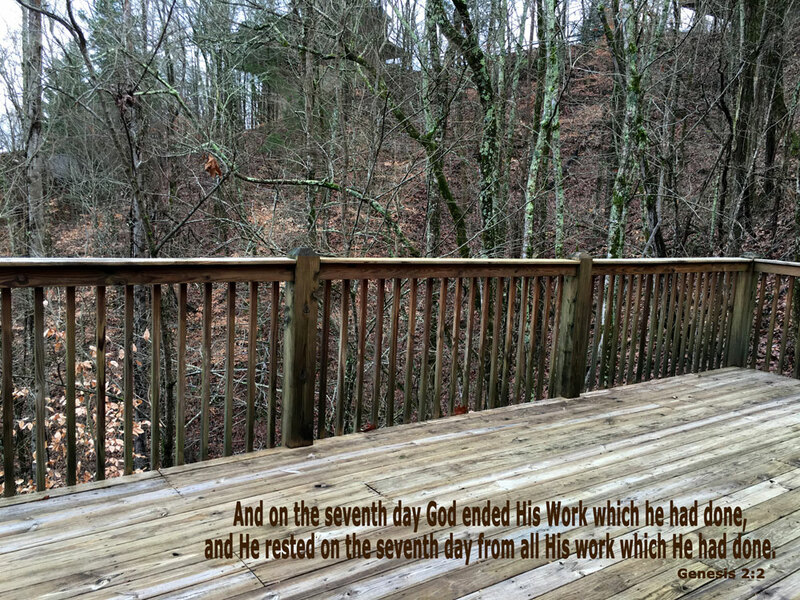 I believe following God's example of rest will be key to accomplishing my ambitious focus goals for 2016. Over the past year or so, I've gotten in the habit of treating Sunday like any other day of the week, skipping church, doing chores, running errands, staying busy. However, I am excited to begin this year with a renewed focus on regular Sunday morning church attendance and maintaining a slower, more relaxed focus. How do you take time to rest each week? Today I'm wishing each of you a very Happy New Year on this beautiful sunshiny (but cold) day here in Texas! I'm excited about the start of a new year and all the possibilities that come with a fresh start. I have been thinking and planning for a few weeks now, pondering my goals for 2016, talking with Robbie about the things we want to do, reflecting on what I did and did not accomplish this past year. I searched for the perfect calendar and finally settled on printing my own using a variety of sources and some of my FUN scrapbooking supplies. I contemplated choosing a word for the year, but decided instead to focus on my top goals. As always, my primary goal is to draw closer to the Lord by spending time in Bible reading and prayer each day, attending church regularly, and studying the Word. I purchased a downloadable Daily Goal Tracker that I'll be using to track my goal of having a Quiet Time each day. MOVE, LEARN, TEACH, SCRAP and CLEAN. MOVE - I'll be focusing on adding more movement in my life through exercise, activity and adventures. In January, my goal is to exercise at least 30 minutes every day. 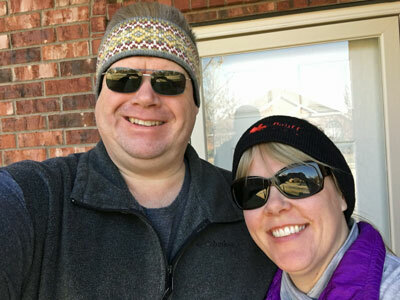 Robbie will be joining me in my quest to exercise more and suggested that we start the year out right with a walk this morning (even though it was only 41 degrees!). I'll also be focusing on being more active throughout the day. I feel like I've gotten lazy with a lot of things over the past year, so I'm going to set a focus each month that will help me get things done. This month I'm focusing on getting all my weekly house cleaning done in a 2-hour period on Mondays. I realize that might not sound like a great goal for MOVE, but lately I've been spreading the cleaning out over the entire week, working a little here and there, skipping some things, doing others only halfheartedly. A set time period where I work consistently to get it all done will add much needed activity to the beginning of each week. I also want to add more movement through monthly "adventures", basically getting out and about more. As the year goes on, these adventures will become more and more active, but for the month of January I'm simply planning to spend a day at the local nature & science museum. LEARN - This year I want to take time for learning. I'm a huge proponent of lifelong learning. 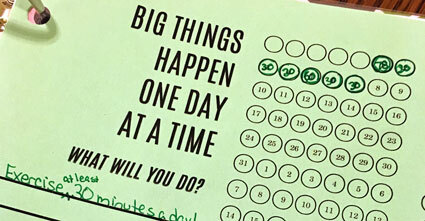 I've taken numerous classes over the years, however, this past year I did not participate in many classes and am really missing the challenge of assignments and interaction with others. I'm planning to participate in more online classes, take a few in-person classes, and (as always) read lots of books in my quest to learn new things this year. In January, I'll be working through some online classes at the new Big Picture Classes (because I inadvertently paid for membership for a month). I'm also planning to learn how to set up a Wordpress website, and I'll be starting Debbie Hodge's Teach What You Do e-course. 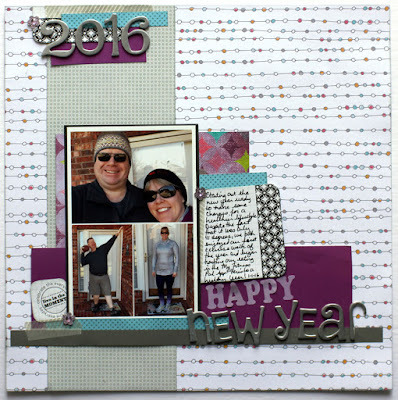 In addition, Cheri invited me to join her in taking Cathy Zielske's FIT 2016 workshop. I signed up yesterday and worked through the Welcome materials. 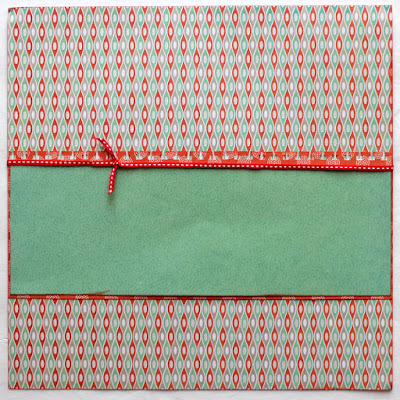 I'm planning to check out the January materials later today and will share more about the class in an upcoming post. 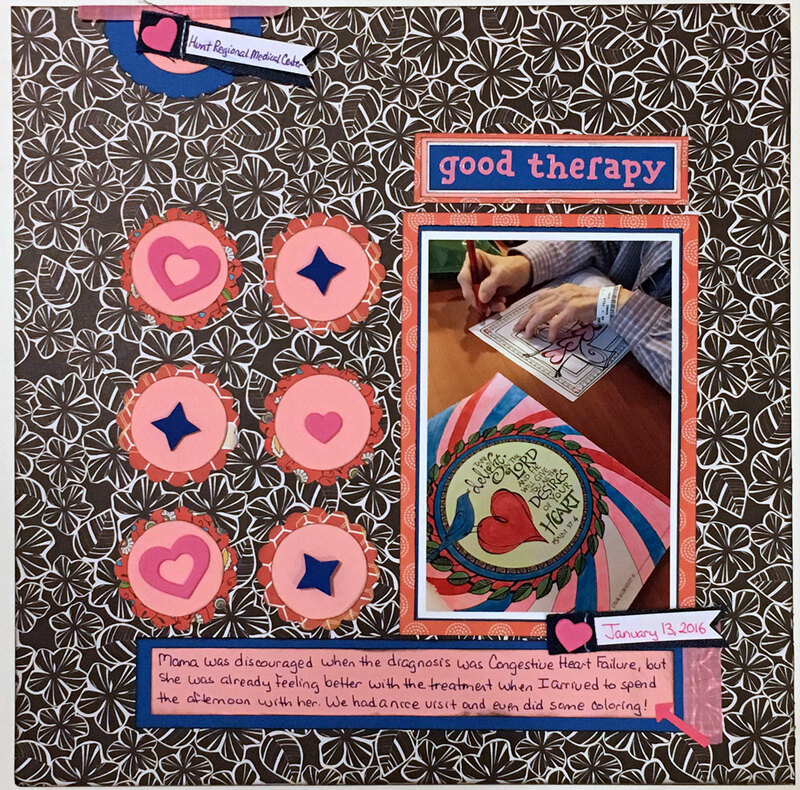 TEACH - I truly enjoyed teaching in-person classes at our local scrapbook stores last year and plan to continue that throughout 2016. I have ideas for lots of classes - Bible Journaling, card making, scrapbooking, and mixed media art. I'll also be researching ideas for online classes! This month I'm teaching a class on creating Vision Boards at our local library and will be scheduling and announcing new classes for February. SCRAP - While I created quite a few layouts this past year, I did not scrapbook as much as I would have liked. Part of the reason is that I was not motivated at times and another part is the fact that my craft room was in transition. The new room is not complete, but everything is set up in a way that I can get to my supplies and photos, and I'm looking forward to lots of creativity in this new space this year! My scrapping goals this month include adding photos and memorabilia to the December 2015 mini-album I created last summer, scrapbooking the stories and photos from our Spring Break vacation this past March, and creating a photo book of our get-togethers with Robbie's brother and his family. CLEAN - Once again I am setting the goal to deep clean and declutter our home. This is one of those goals that is always ongoing. I didn't make much progress on this last year, but am determined to do better this year as we continue to move things around and redecorate the house. This month we are planning to complete the bookshelves we are building to house Robbie's trading card binders, get them set up in the office, and relocate the collection there. I'm also planning to clean and declutter the laundry room (again) and simplify my wardrobe (some more). So, this year I'll be in MOVE - LEARN - TEACH - SCRAP - CLEAN mode! I realize it sounds like a lot, but I'll be setting small goals each month in order to focus my efforts for a productive year.